Last time I contacted you was 12 years ago when I sold a house using Texas Discount Reality, it was an easy experience. You were my first call when I had another house to sell. I have to thank you for coming over to view a property I was selling. You provided great advice in price and make ready. I put the property up “for sale by owner” while getting ready to start the make ready process before entering into a contract to sell. I never made it to doing any improvements or listing the property with you as it sold before I had made any improvements. We will be doing business in the future. You remain my “go to” person for selling real-estate. Texas Discount Realty was referred to us by good friends as an honest and reliable Realtor … They consistently gave us sound advice based upon past experience and history, which allowed us to make the best decisions. Texas Discount Realty, I want to thank you for assisting me in the purchase of my new home. I was moving to a different city, and searching for the "right" home is a dubious task. I met with [your agent], and he went to work immediately, helping me search for a home with my requirements in the specific location I wanted. Once we found the right house, the negotiations were handled quickly and with great tact. I was kept up to date with each step of the closing process. I appreciate [your agent’s] remarkable integrity, honesty and professionalism from beginning to end. If I ever need to sell my home or purchase a new one, I have [his] number to call. We have only the highest praise and recommendation for Texas Discount Realty. We recently sold one house and bought a new house with [your agent], and it was one of the best decisions we've made. Our house was listed to all realtors on the MLS, and we saved thousands on the commission. In addition, we received a generous rebate from the purchase of our new home. But just as important was [your agent’s] expertise and service. He and his office assistant were always available and in touch when we had questions, needed help, or wanted to see a home. From the listing through both closings, [your agent] was with us all the way. The information he gave us on houses was thorough and valuable to us as we made our decisions. We particularly liked the fact that [your agent] lives here in Austin and knows the area well. And, he is both professional and pleasant to work with. For excellent service and great savings, you just can't beat Texas Discount Realty. Knowledgeable, diligent, efficient, patient, kind, tactful, perseverant...These are the personal qualities of the man who listed, sold, and closed on my house in 30 days. I just wanted to thank you for handling the sale of my duplex last month. It was a pleasure doing business with you. I have dealt with many Realtors and real estate agents over the years building my portfolio. Most of the transactions were less than friendly, more businesslike in a negative way, and at times adversarial. It was a breath of fresh air to meet a Realtor who advertised honestly, respected the tenant’s privacy, and who followed through with leads even if you were not the one getting most of the commission – very rare indeed. I would be happy to use your services in the future. I saved almost 3% by listing with you. That equated to almost $10,000. No other broker would list for less than 6%, which in today’s market, is not realistic. Texas Discount Realty did a great job in helping me buy my new home. [Your Agent] was very efficient and helpful in getting me through the buying process so that I could get into my home with a minimal amount of hassle. I got my rebate within two days of closing. I can strongly recommend Texas Discount Realty. [Your Agent] was very patient with us throughout our search. The entire process, from the day we contacted him about being our Realtor, to the day we closed on our house, ran incredibly smooth. In addition, he was able to provide us with really great recommendations for people in the field to aid us, from the loan officer to the house inspector. [Your Agent’s] advice and guidance through this process was priceless. His attention to detail, knowledge of the field, and no-pressure approach were greatly appreciated. We can't imagine going through this process with anyone but him. Thank you, Texas Discount Realty! My wife and I saved thousands had it not been for your firm. Our agent was the consummate professional. He was a great listener and consultant. He provided guidance to us during some rough parts of the close of the sale. [Your Agent] went above and beyond the call to help get our house sold! We will definitely be using Texas Discount Realty for our next home sale. It has been my good fortune to discover the services of Texas Discount Realty. Previously I failed to sell my North Dallas home using both the "conventional" agent route and FSBO. What a relief it has been to have [your agent] coach me successfully through the complete home sale process with sensational results. Over $18,600 in commissions was saved on the sale of my home. My husband and I used Texas Discount Realty to sell our home. To us, it was the only way to go. We saved a considerable amount of money, and we feel we received quite a lot for the services that TDR offered. [Your Agents] were both responsive, courteous and knowledgeable. They greatly facilitated the process of selling our home. I would highly recommend them. I SAVED OVER $9,000 IN COMMISSIONS!! 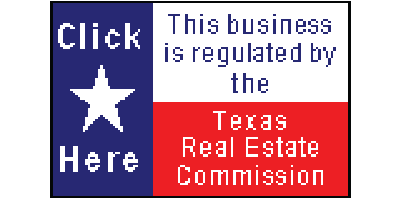 IN THE FUTURE, WITHOUT QUESTION, I WOULD UTILIZE THE SERVICES OF TEXAS DISCOUNT REALTY. Just wanted to let you know how much I appreciate the service you and your company provide. Buying and selling homes is my business. Because you offer discounted rates I was able to discount my last property and sell it in less than 3 weeks, even in this flat market. I look forward to doing many more deals with you. Have a prosperous new year. My husband and I were clients of Texas Discount Realty in May. This company was very professional and did over and above the call of duty to make our transition from California to Texas a smooth one. We were unable to come to Texas and search for a home ourselves, so [your agent] did all the foot work for us. He found us a wonderful home in our price range and everything went so smoothly our escrow was closed in 30 days. I recommend this company to anyone looking to buy or sell their home! We knew that FSBO was not the way to go, as most other buyer Realtors avoid working with sellers themselves. We also did not see the benefit of going with a full cost Realtor. After some research, we contacted Texas Discount Realty. We had the house on the market for less then a month when we received a full-price-plus offer.